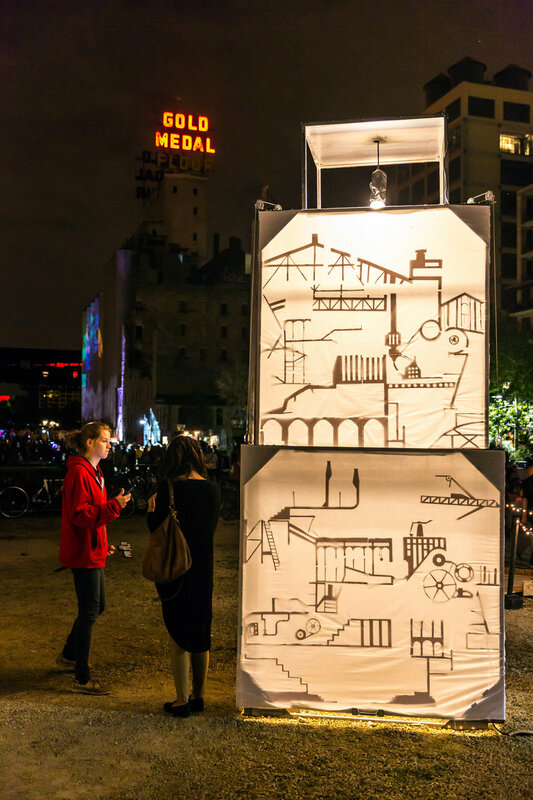 Beginning with the elemental geometry of the cube, CityScope creates a field of whimsical follies that invite participation and new ways of seeing. While a central periscope projects your view to the city, the periphery structures recall the mechanical histories of the site. Through a kinetic counter-balanced system, the cubes can be lifted and entered, creating intimacy amidst the spectacle. Looking in and looking out, the structures present a new lens of observing the built environment. The project is a result of a partnership between UMN School of Architecture and Minn_Lab, a collaborative of architects, landscape architects, and educators. 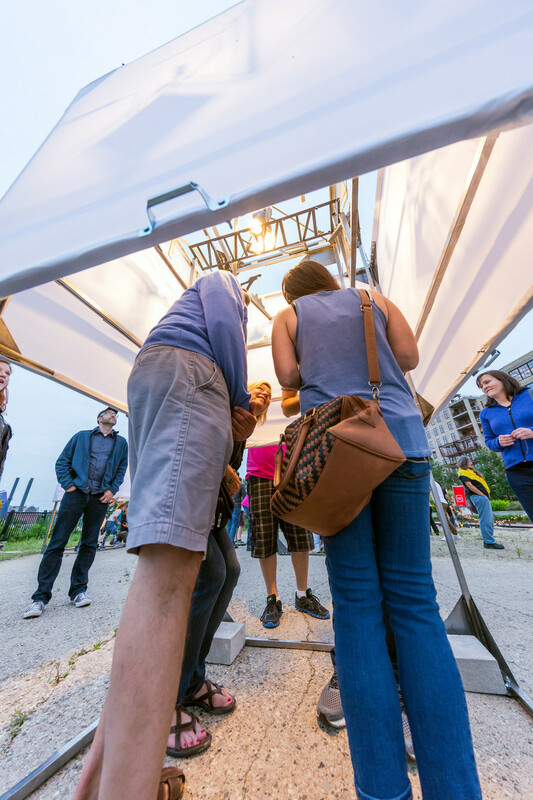 Led by designer and educator, Molly Reichert, thirteen graduate architecture students developed the project during an eight-week studio course. Evolving the project through a tactile, iterative process of radical making, the students benefited from critique and counsel from Minn_Lab, guest artists, and technicians.